There is now another assassin in the midst. Rifling the pockets of the hard working PC’s. It’s hard to see how this ends well. 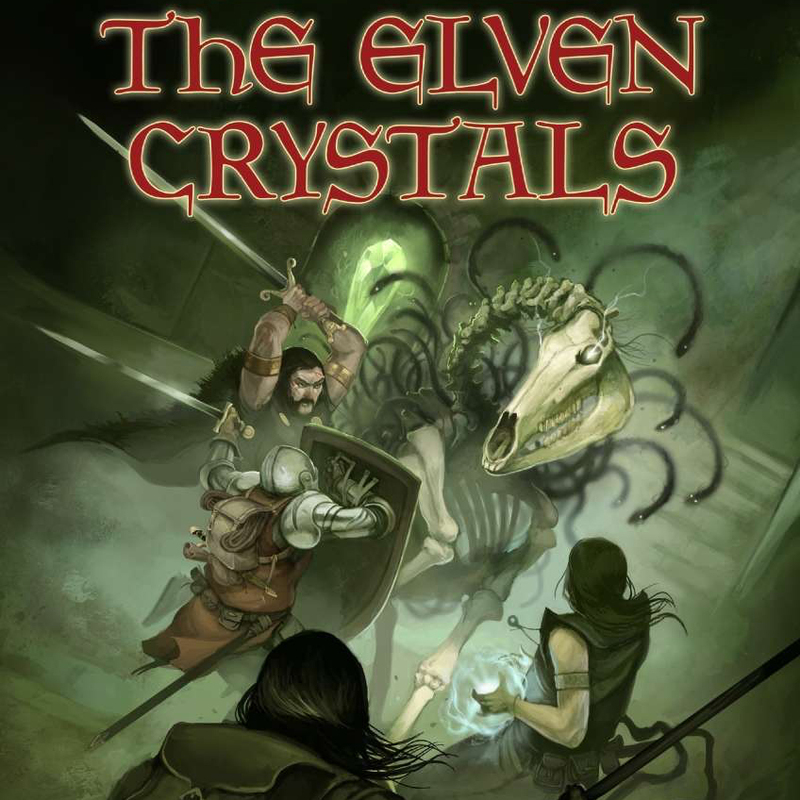 Dragon Warriors begin THE ELVEN CRYSTALS. A shattered stone, a fractured kingdom, one last chance. It’s a toughie, but I am sure they can prevail. So why the long face? In unbridled scenes tonight a curse transformed our hapless Knave into a horse, AND possessed her with a nasty demon. There is no getting away from it, they are going to need an exhorsist. 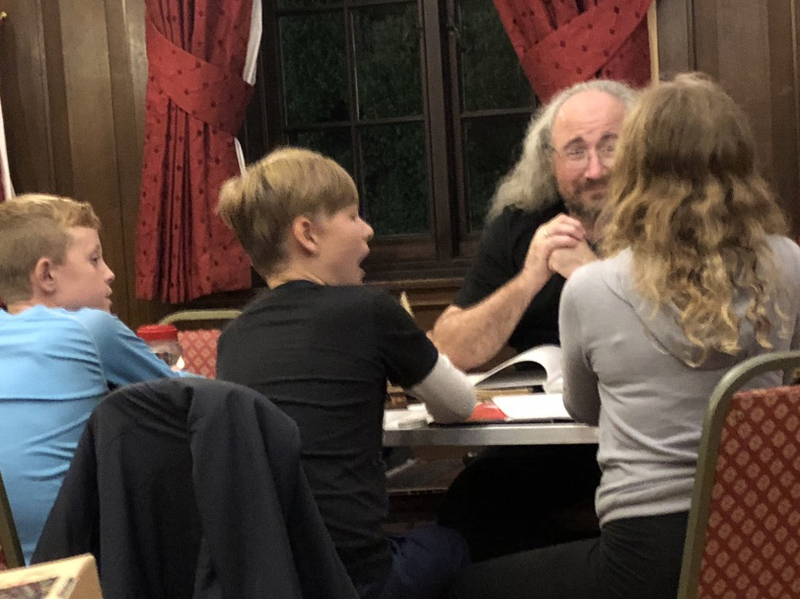 Would you like to RPG with your son or daughter? NEW LAYERS now welcome to join our motley crew. 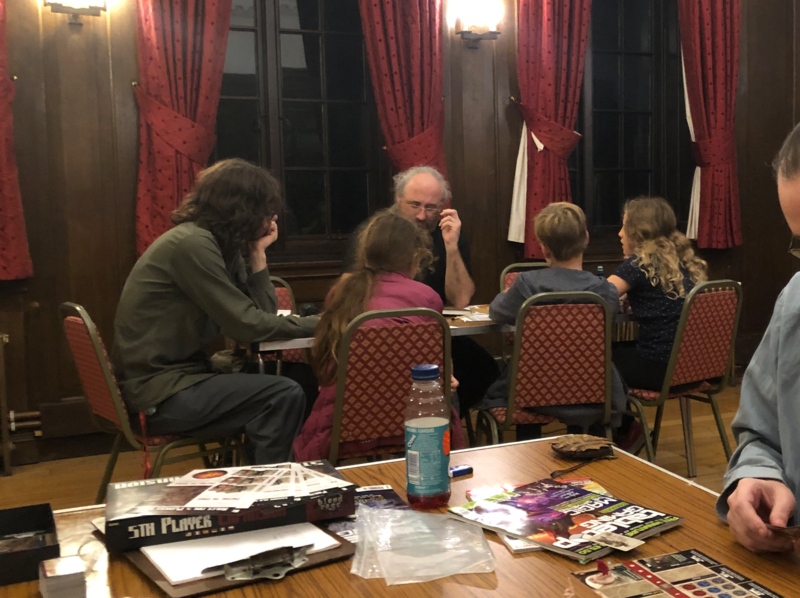 Dragon Warriors is the perfect introduction to ROLEPLAYING GAMES, just like D&D, This is a mixed gender group, and perfect for a parent and child shared adventure. No Experience or equipment required, just bring your imagination. If interested please CONTACT US here and MAKE WEDNESDAYS GREAT AGAIN. Visit www.diceonthehill.co.uk for more information. The friendly toll-keeper Ogre, is dead. Once a friend who they allowed to dismember Knights for not paying their “taxes” , the Baron demanded they sort it out, and so they did. Well done brave adventurers. Warlock regurgitated. Unfortunately not in one piece. Ok, it’s getting weird. Captured and tortured by some sadistic enemy, the Warlock was cursed and transformed into a frog and then eaten (under “duress”) by the Knave. 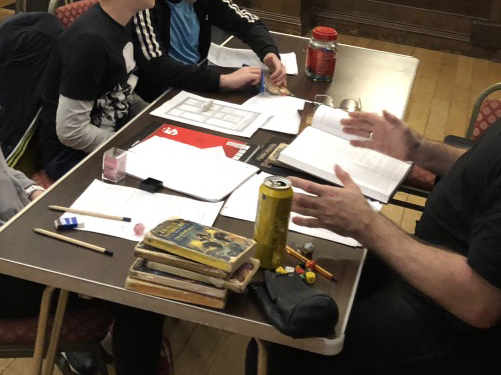 The player of the digested PC appeared to take the death well, especially as his previous character was the Barbarian (I am sensing a connection to legs here). Can they hold on to the legs of the next Character? Why not turn up and join in, to find out! Everyone’s favourite assassin (come knave) is BACK. Zip up your pockets and carefully guide her away from any red buttons that say PRESS ME. Alas, the Barbarian still has no legs. He is not for returning. A sad day in the Land of Legend. Harold the Barbarian, a real rock and trusted friend, died. Selfishly pushing a minor PC out of danger, to be then crushed by a huge bolder. It took his legs up to the pockets on his trousers, which were thankfully still accessible and his valuables were secured. There is now a vacancy for a new beef-headed barbarian. Feel free to apply next Wednesday. Perfect for anybody aged eleven to eleventy-one. Contact us now to arrange your place at the table, or just turn up to play! A second RPG table is now active. Playing Warhammer Fantasy Roleplay 4e. Click here for more information. 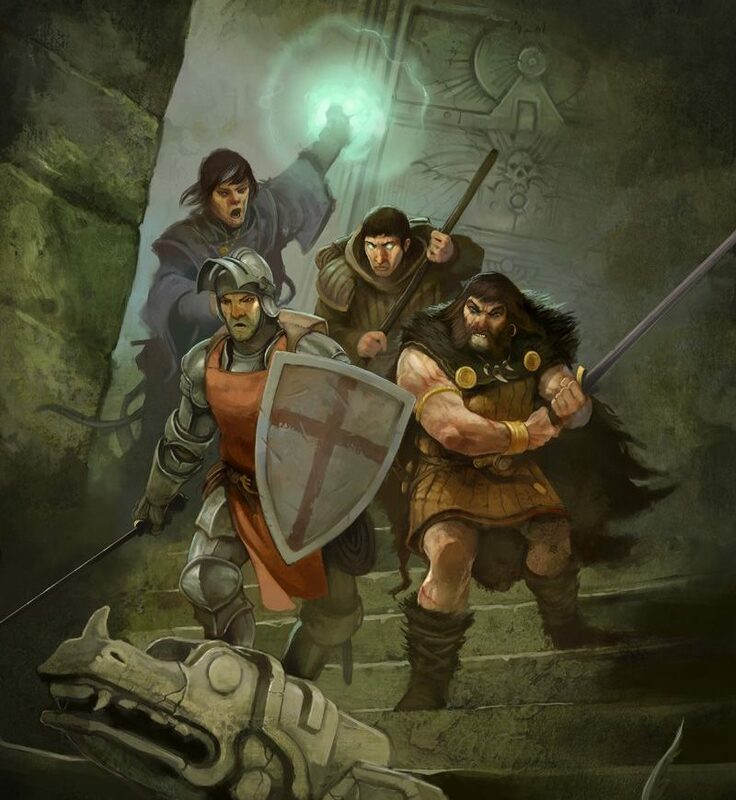 Dragon Warriors is a classic british fantasy roleplaying game, perfect for novice players young or old. 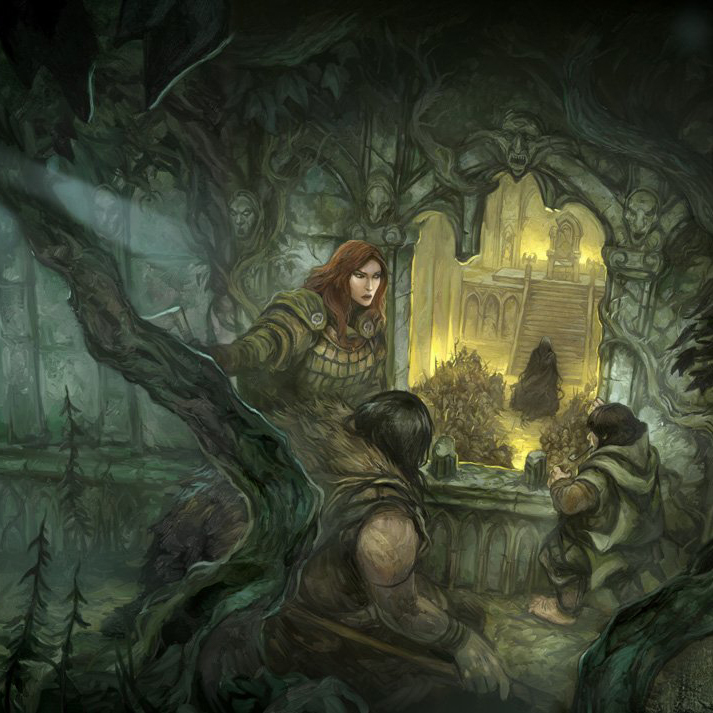 Enter a world of magic, folklore and danger. Here, superstition covers peoples’ lives like autumn mists cover the moors, and terrifying monsters with bizarre powers lurk in the shadows. The king is a weakling, barons scheme against each other, and lordless knights, back from the Crusades without the honour or riches they were promised, roam the countryside in search of adventure – or prey. These are the Lands of Legend, and they need heroes. Brave knights, courageous barbarians, cunning sorcerers, mystics trained in the powers of mind and body, sword-wielding warlocks, elementalists who command the fabric of reality itself, and assassins trained to bring death to the deserving. All these will be your comrades on the path to glory – and perhaps your enemies too.